The "This Is Us" star tells The New York Times that Adams was psychologically abusive toward her. 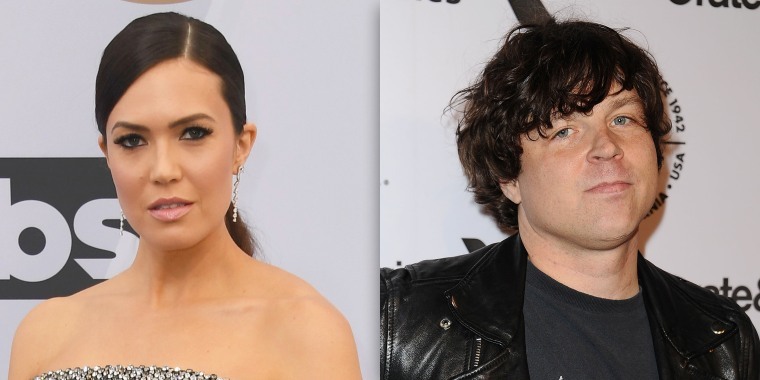 In an interview with The New York Times, Mandy Moore opened up about her marriage to ex-husband Ryan Adams, sharing details of what she described as “controlling behavior” that damaged her music career. Moore was interviewed for a story published Wednesday in which several women claimed Adams pursued them sexually while offering to help their music careers. The “This Is Us” star, who was married to Adams from 2009 to 2016, recalled several ways in which she said he exerted control over her career. As one example, she said that after she split from her music manager, he discouraged her from working with other producers or managers. She also said he was psychologically abusive toward her. “He would always tell me, ‘You’re not a real musician, because you don’t play an instrument,’” she said. Moore, now 34 and married to musician Taylor Goldsmith, has not released a studio album since 2009, just months after she and Adams tied the knot. Moore shared with The New York Times how she and others who were subjected to what she called Adams’ “destructive” behavior have leaned on each other for support. In regards to one of the allegations in the story, he wrote, “I would never have inappropriate interactions with someone I thought was underage. Period. “I didn't choose the right person,” she added. Moore said she doesn't feel guilty about the divorce.